How can i solve and safely get all the data? See the guide in the following link to see if is helpful. If the MiniTool Power Data Recovery does not work then try the following program below. It is a little more complicated so make sure to read the documentation. Edited by dmccoy, 11 September 2018 - 11:32 AM. 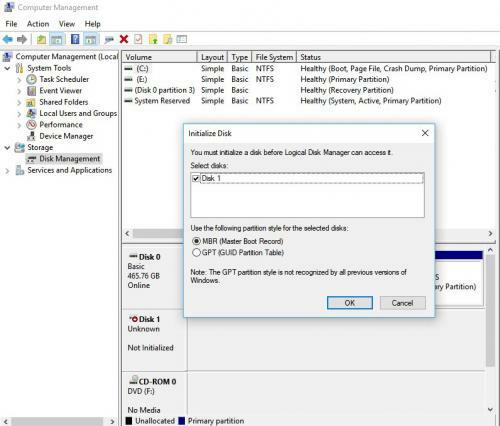 Depending on how important the data is you may want to try creating a disk image of your drive as follows as a backup in case any of these options make your disk unusable, etc. Based on this first should i initialise the disk OR try to remove drive from case and use with another enclosure/ adaptor , which should be do first ? Does this work with my current situation? so based on this scenario expert like you what can be conclude as my solution for data recovery/get drive work. It is hard to see the board very well. Are you seeing damage to that trace? At this point it really depends on how important the data is to you. If it is very important then your best option is to send to a professional for repair. If you are willing to try some other options then we can try that as well? I don't know for sure if you can create an image backup with Macrium or other software but it is worth a try. If it works then you may at least be able to get the data off. Hello tried with Macrium, drive not detected. First of all thank you for all of your precious time and efforts, Its great to be mastered like you. in sha Allah one day 1 too. since this is my first experience in forums you all may forgive me and do continuous advise and solution help under for this topic. Thread closed as OP has decided to continue elsewhere.